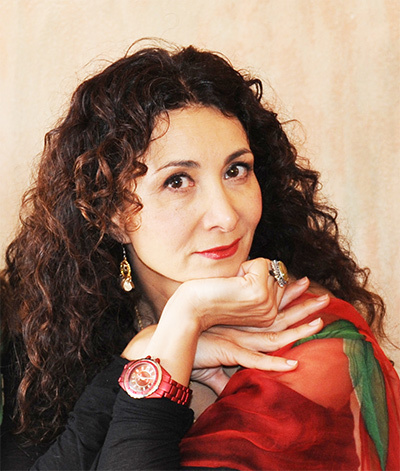 Sholeh Wolpé is an Iranian-born poet, writer and public speaker. A recipient of the 2014 PEN/Heim, 2013 Midwest Book Award and 2010 Lois Roth Persian Translation prize, Wolpé ’s literary work include four collections of poetry, two plays, three books of translations, and three anthologies. About Wolpé ’s latest collection of poems, Keeping Time with Blue Hyacinths, Shelf Awareness Magazine writes, “A gifted Iranian-American poet beautifully explores love and the loss of love, beauty and war and the ghosts of the past.” Wolpé’s modern translation of The Conference of the Birds by the 12th century Iranian mystic poet, Attar (W.W. Norton), has been hailed by Reza Aslan as a translation that “is sure to be as timeless as the masterpiece itself.” Wolpé ’s writings have been translated into eleven languages and included in numerous American and international anthologies and journals of poetry and fiction, and featured on programs such as Selected Shorts at Symphony Space and NPR. She has lived in the UK and Trinidad and is presently based in Los Angeles.